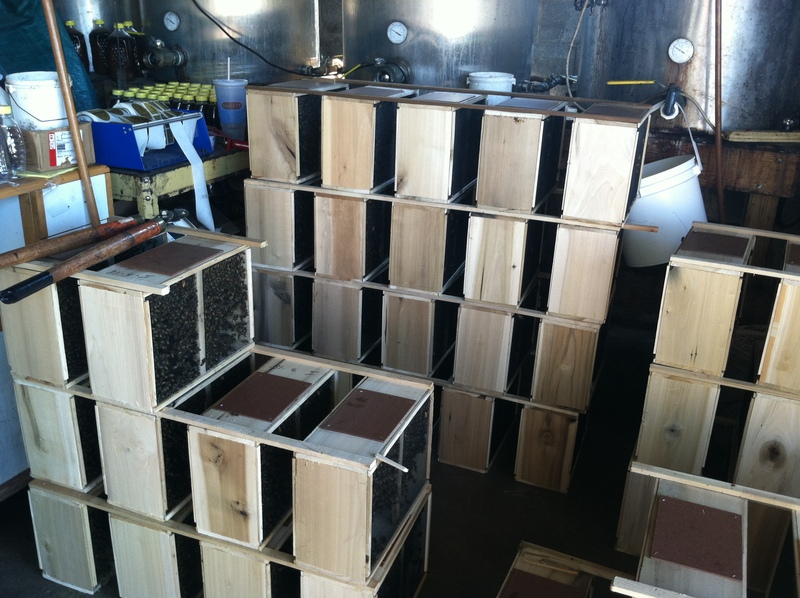 Stacks and stacks of packages of bees, over 400 in all! My two Italian bee packages arrived in MD this weekend and I am very excited. First promised in April, a cold and wet spring in Georgia held up the delivery for an unprecedented two long months. By this time of year, the packages should have been installed, the bees settled in and raising brood, plus storing honey for the winter. There is a lot of catching up to do! I picked them up early in the morning from a local supplier who drives them up from Georgia. 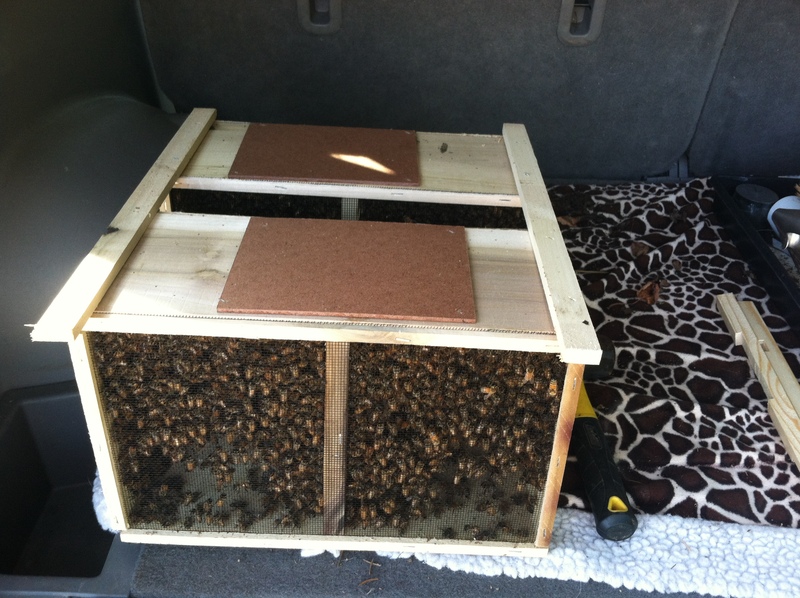 The two boxes vibrated in my hands with the humming of thousands of bees and I placed them carefully in the back of my car. A package of bees is simply a wooden frame box covered in screening, with a can of sugar water inserted inside that is dripping sugar water to feed the bees. There are about 12,000 bees in a 3 pound package. Also, most importantly a queen in a queen cage with several attendant bees who feed her, is included in the package. 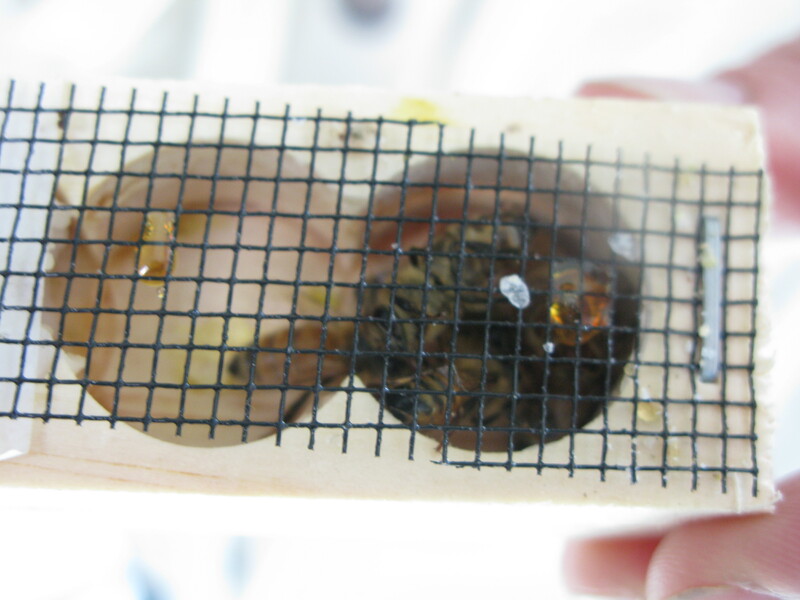 The queen is raised separately from the worker bees so they must get used to her pheromones before she is released to join them, thus the queen cage. The queen had only been with the other bees for a day and a half which is not enough time for them to get used to her. To be safe, she needs to be separated for at least 4 days before they will accept her. So, I need to continue to keep her separate from the hive with the queen cage inserted into the hive, acting as a temporary barrier. 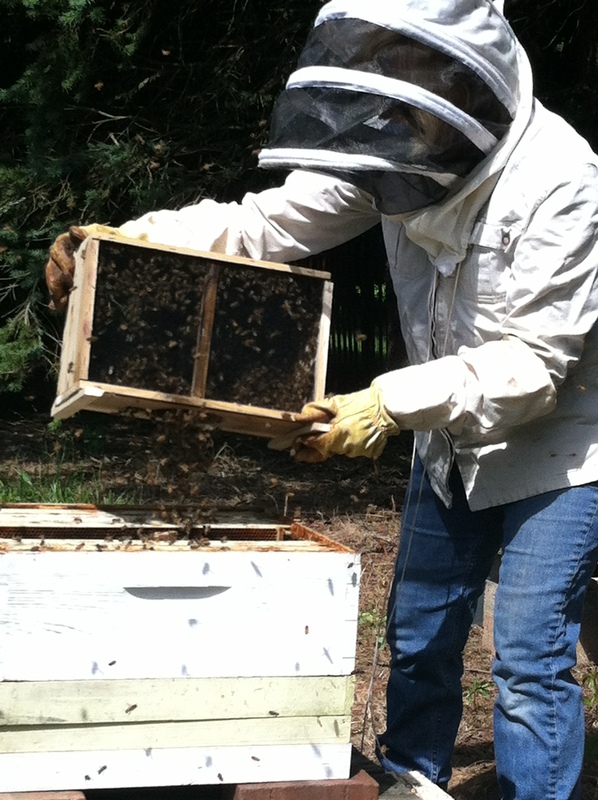 I had prepared my hive bodies days ago with cleaned up frames of drawn comb from my old hives. To shake the package into the hive bodies, I made room by removing 4 frames that would go back in when the bees dropped in. I also sprayed them several times with sugar water to calm them and wet their wings, to make it a little harder for them to fly away. 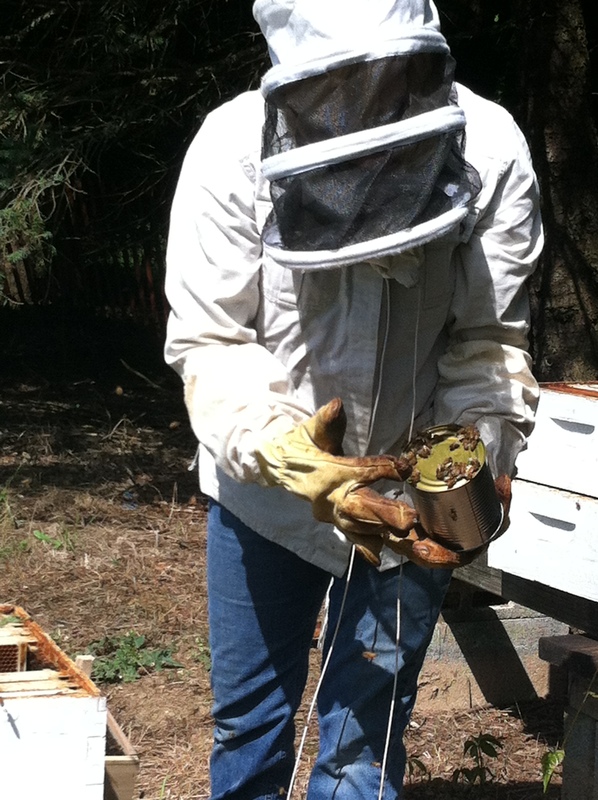 Knocking the bees with a hard slam onto the hive body is very exciting. Masses of bees fell in clumps into the hive body and start crawling around in their new home. They seem a little stunned at first but moving quickly, I shook down as many as will come out, and then placed the package in front of the hive hoping that the stragglers will find their way in. There is a little cork with a candy plug holding the queen in her cage. I removed the cork and press the queen cage into the soft wax of one of the frames. It will take a couple of days for the bees to eat the candy and release her. By that time, they should treat her like the star that she is, ready to take care of her in return for her laying thousands of eggs over her lifetime. A good strong queen will keep the colony going for at least 2 years before she slows down and needs to be replaced. Inserting the four frames that were removed, I set the inner and outer cover on top. It takes all of 5 minutes to complete the installation. I stuffed some burlap into the entrance along with a feeder to prevent the bees from flying out and will remove the burlap when things settle down a bit. 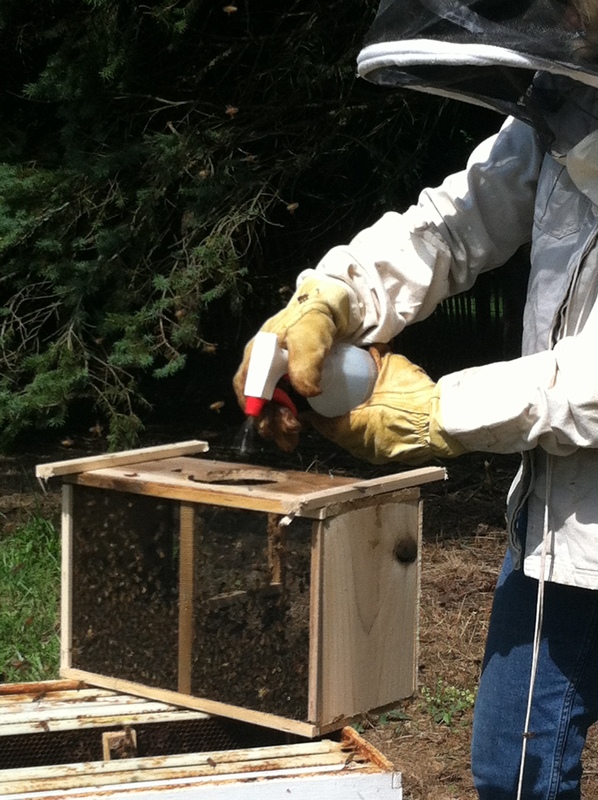 Feeding sugar water to the bees is critical for the hive to build up quickly before cold weather hits. 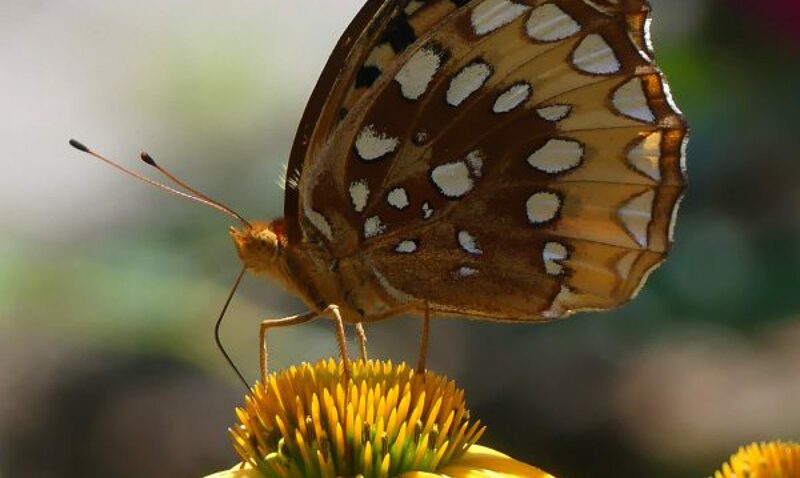 I will do it for at least several weeks, or until I see that they are bringing in nectar and pollen and then will gradually wean them off. The first day they slurped up sugar water made with 5 pounds of sugar! I am buying 25 pounds of sugar at the local Sams club to keep them fed. 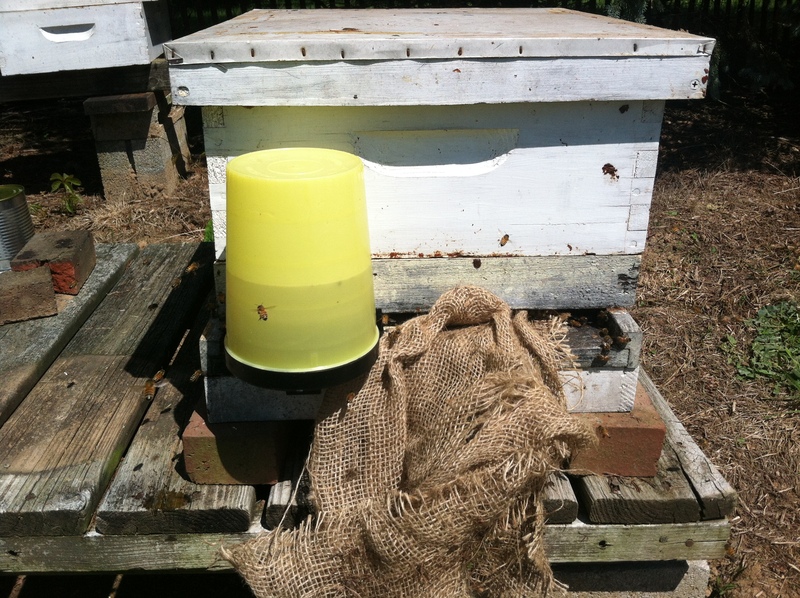 I have a head start over new beekeepers because I already have drawn comb from old hives for them to start depositing pollen and nectar into. Also, the queen has s spot to lay her eggs all ready and can get a jump start on raising new bees to bring in nectar. I gave the hives a couple of days and opened them both up to check to see if the queen has been released. This type of release is called the slow release method and has a better chance of success with queen acceptance. The quick release method of removing the cork and placing the queen directly into the hive can be disastrous with the bees stinging the queen to death, and I have seen that happen. The queen is out and I see the gleam of nectar being deposited into the cells so I am hopeful. 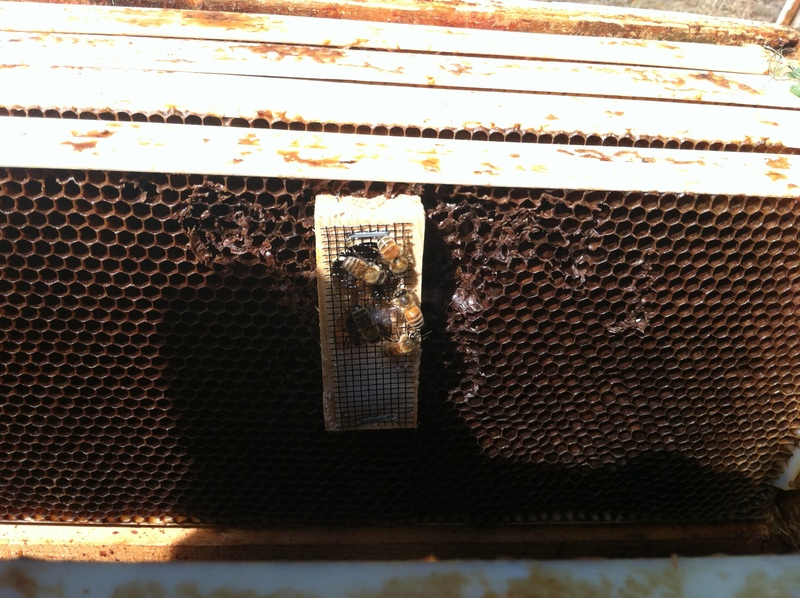 I will check in a week to see if I can find any brood and that is my sign that the queen is healthy and working. 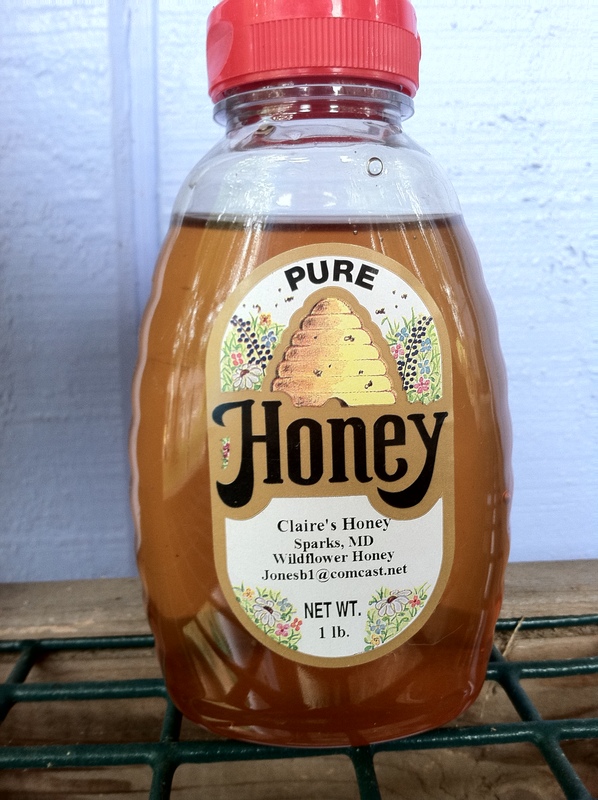 Since it is so late in the season, I know that I won’t get honey this year but am hopeful for next year. I compare it to a gardener planting a bulb or seed – Good things come to those who wait! 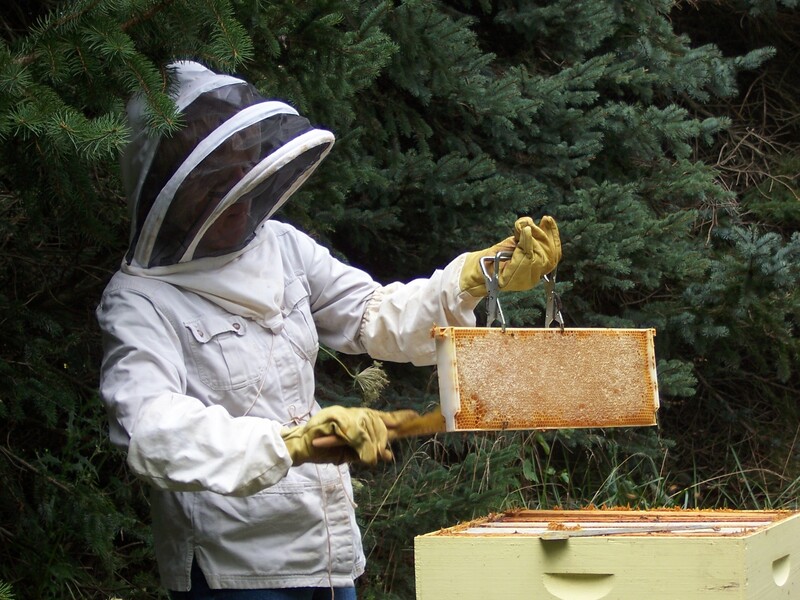 Fascinating – I love reading about bees. Most people do – they are fascinating creatures!